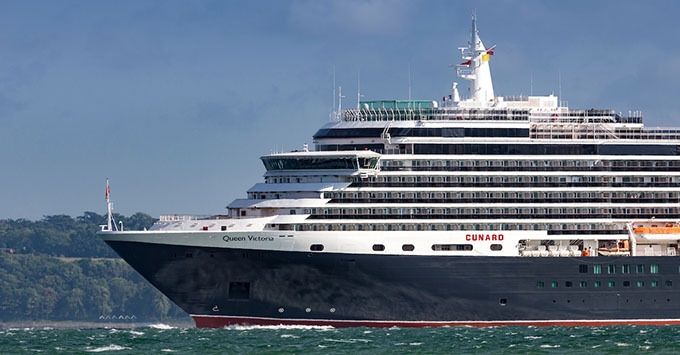 (9:45 a.m. EDT) -- The second of Cunard Line's three ships to be refurbished -- Queen Victoria -- has returned to the U.K. with a host of new features including additional cabins and suites, and a new restaurant. The third ship, Queen Elizabeth, will go in for its refit late next year. Cunard spent $40 million on the month-long refurbishment, increasing passenger capacity from 1,988 to 2,081 -- with the addition of the 30 cabins and five Penthouse Suites. The ship has also expanded its sundeck and added a new specialty cafe, as well as upgraded 24 existing suites. Last year, sister ship Queen Mary 2 went through a $90 million "remastering," which saw the addition of single cabins and a redesigned buffet. Speaking onboard Queen Victoria, U.K. vice president of marketing Angus Struthers said: "We listen to our guests -- you asked for more sunbathing space and we have created a new Lido area. You wanted a new Britannia Club Dining Room and a refurbished Winter Garden. So keep talking and we will keep listening. "We are very careful to protect what we feel is special, so we have enhanced the ship but we have protected what makes Cunard so great." Struthers said Cunard took inspiration from its great ships of the past, particularly the geometric pattern carpets and Art Deco features. "The whole ship has been transformed, but I'm sure you'll agree the ship has retained what makes it Queen Victoria." Queen Victoria's refurb, which took place at the Fincantieri shipyard in Italy, involved slicing off the back of the ship to add the new cabins and then place the extended Lido Deck over the top. 43 Britannia Club cabins, including new ones, on decks 7 and 8, with new carpets, soft furnishings, flat screen TVs and tea- and coffee-making facilities. A new "gin and fizz" themed menu in the Midships Lounge, which includes wines, Proseccos, cavas and Champagne alongside premium gins and spirits. Queen Victoria sets sail for a 14-night Festival of Flowers cruise to Madeira and the Canary Islands tonight.